News: Shell (knee) is practicing Wednesday, Brian Costello of the New York Post reports. Impact: Shell has started 29 games for the Jets over the past three seasons and didn't miss a single snap before a teammate rolled up on his knee in Week 15 of last season. After undergoing surgery in December, the 27-year-old is presumably close to full health if the Jets are allowing him to take the practice field in April. News: Lee isn't participating in the offseason program, Connor Hughes of The Athletic reports. Impact: Neither team nor player has much incentive to risk an injury when there's a desire to work out a trade. With C.J. Mosley and Avery Williamson locked in as their top linebackers, the Jets presumably hope to deal Lee before or during the 2019 NFL Draft. The 2016 first-round pick had three interceptions last season and three sacks the year prior, but he was never known for consistency even before he closed out 2018 with a four-game suspension for a substance abuse violation. News: Coach Adam Gase believes the Jets can do more to get Anderson involved in a variety of ways, Manish Mehta of the New York Daily News reports. Impact: Anderson has proven himself as a deep threat with career marks of 14.7 yards per catch and 8.0 per target, but the nature of his role combined with shaky quarterback play has made consistency elusive. While Gase seems to be hinting at a more dynamic role that allows Anderson to move around the formation, it will be tough to find snaps in the slot with Jamison Crowder, Quincy Enunwa and Le'Veon Bell all on the roster. The added competition for targets could easily be offset by improved efficiency, as Anderson turns 26 in May and quarterback Sam Darnold celebrates his 22nd birthday a month later. The two showed a strong connection late last season when Anderson caught 23 of 39 targets for 336 yards (8.6 YPT) and three touchdowns over the final four weeks. 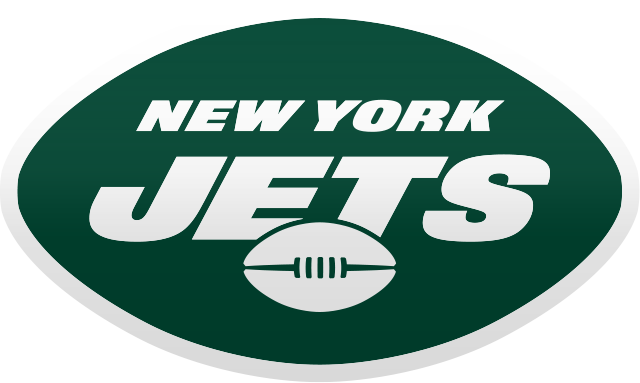 News: Maye (shoulder) is practicing without restrictions at the Jets' offseason program, Manish Mehta of the New York Daily News reports. Impact: Maye might have limitations once padded practices begin, but he seems to have made good progress in his recovery from Dec. 4 shoulder surgery. He's locked in as the starter at free safety, averaging 5.1 tackles in 22 games (all starts) since the Jets selected him at No. 39 overall in the 2017 NFL Draft. News: Bell hasn't been present at the Jets' team facility since the first week of voluntary workouts, Connor Hughes of The Athletic reports. Impact: This doesn't seem to be a point of contention, as Bell likely informed the Jets of his plan when he signed a four-year, $52.5 million contract last month. He's always preferred to work out on his own during the offseason -- something that may have played a role in his inability to secure a long-term contract with Pittsburgh. In any case, the 27-year-old has plenty of time to get in shape and learn coach Adam Gase's playbook before rejoining his teammates for OTAs in May or mandatory minicamp in June. Gase said he'll be cautious about overworking his star runner, but it will be tough to take Bell off the field for more than a breather when the backfield alternatives are Ty Montgomery, Elijah McGuire, Trenton Cannon and De'Angelo Henderson.